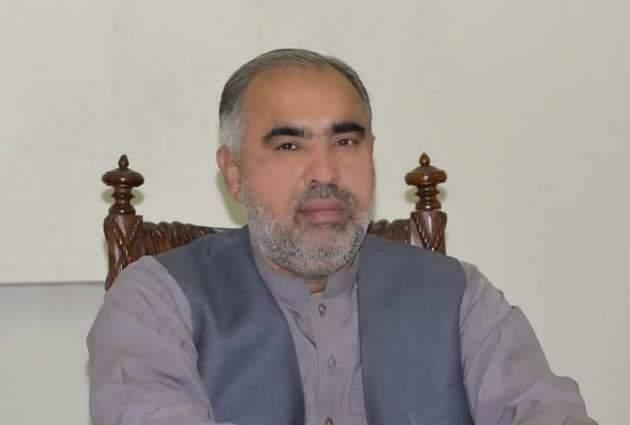 ISLAMABAD, (UrduPoint / Pakistan Point News - 17th Apr, 2019 ) :Speaker National Assembly Asad Qaiser Wednesday said speedy and fair justice would ensure social harmony and national integration. He said that provision of speedy justice would not only ensure improved socio-economic indicators of the country but it would also improve the image of Pakistan at regional and international level. He mentioned that provision of justice was the basic need of each and every state and the societies which did not provide justice become extinct on earth. He expressed these views while talking to Federal Ombudsman Syed Tahir Shahbaz who called on him at Parliament House. The Speaker said that provision of speedy and cost free justice was the responsibility of the state and incumbent government was striving hard for provision of justice to common people in the country. He said that it was an era of information revolution and the use of latest internet based gadgets should be used by the office of Federal Ombudsman to create national awareness and consciousness regarding the functions of Ombudsman. He also stressed upon the need to take speedy action on complaints so that speedy justice could be ensured. He also mentioned that seminars, programs, and public meeting be arranged for the general awareness of the common people in the country. He appreciated the role of Federal Ombudsman in providing justice to masses and making the user friendly mobile apps for registration of complaints. He stressed the need for using electronics, press and internet based media to create awareness among masses. Federal Ombudsman Tahir Shahbaz appreciated the Speaker's concern for the welfare and provision of justice to the common people. He mentioned the goal of his organization to provide justice to all. He said that cost free and easy justice would eliminate the crime rate in the country and ensure the well being of the common people. He also presented the Annual Report 2018 about Federal Ombudsman's working and achievements of targets.